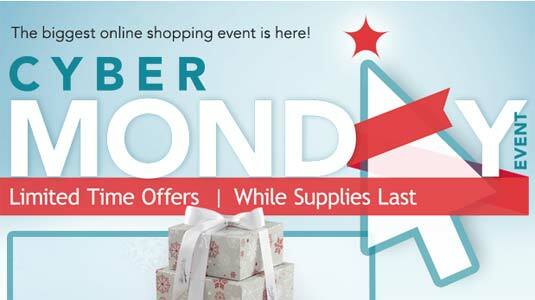 Cyber Monday deals have started at Costco.com. I also hear there will be markdowns starting today in the warehouses. No deal stands out in particular to me. The Element 39″ 1080p LED HDTV is probably the most talked about item, but it’s probably not even as good of a deal as the TCL 39″ Back-lit LED LCD or the Hisense 42″ 1080p LED TV, all of which are $299. Although there’s always risk that an item will sell out, most of these deals last longer than just Monday. There are only a couple of discounts that are only valid Monday. Out of the 115 deals listed or so, there are not really any that interest or excite me. Also, keep in mind the December 2012 Costco coupon book starts today. One interesting thing is that Costco will feature one deal a day for 24 days, and will be emailing you about the deal. What do you think? Will you be buying anything?